There are so many different ways to do shamanic methods, because there are so many different reasons to practise them. You might already know about my Shamanic Journeying courses, in which you can learn one of many different methods. You can learn how to visit spiritual worlds, how to find Power Animals, Symbols and Lost Souls. If you like to dance, and if you like Shamanic Journeying, than this course is for you. Warning: If you have health issues, like serious heart problems, epilepsy, or psychological problems, you should not take this course! If you are not sure about practicing shamanic dancing, please consult a health professional. Shamanic Dancing is simply another way of Shamanic Journeying by using breathing and dancing to reach a light or deep state of Trance that you need for Shamanic Journeying. Shamanic Dancing is a practice where you invite Spirit, the power of all creation, into your body through dancing. This is attained through a special breathing method. When using this breathing method you will free your mind, and when your body is dancing, your soul can travel to other worlds, where you can meet your shamanic ancestors, spirit animals, or spirit guides. There you can get answers to questions, and you can learn, heal, or even help your friends to heal on a spiritual level. What I personally love about this kind of dance is that I feel very grounded. I feel like I’m in my body again, but at the same time I can work on a spiritual level to help myself, and my friends and clients. 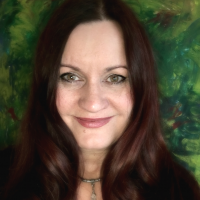 My name is Daniela, and I started to learn shamanic healing back in 2001, when I lived in Germany. I have learned, practiced and taught different shamanic methods like Trance Dance, Shamanic Journeying, Soul Retrieval and Professional Aura Balancing. And you can experience Spirit on a physical level, not just in your thoughts. Shamanic Dancing can be practiced at home, alone, or with friends, or in a big group.